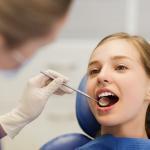 Tooth extraction refers to the complete removal of a natural tooth. On a regular day, most dental patients usually visit a dental clinic to undergo tooth extraction. 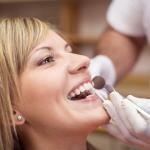 Tooth extraction Los Angeles is one of the simplest dental services offered in dental treatment. For tooth extraction, almost any dentist can perform the procedure, especially for the front teeth. At Wilshire Smile Group, you can get top-notch tooth extraction services that won’t take more than an hour to complete. You can also get tooth extractions for your children. Visiting a dentist to extract your child’s tooth can be very beneficial to their dental health. What’s more, you can help your child avoid various dental complications in the future which are brought about by poor dental extractions. 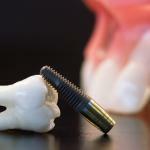 Tooth extraction Los Angeles can be done for various reasons. One of the most common reasons intended for tooth extraction is excessive tooth decay. 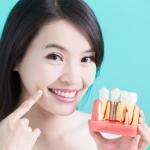 Tooth decay can sometimes cause a lot of pain on the tooth. If untreated, the decay can spread to adjacent teeth and make them less functional. 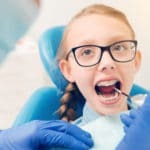 If tooth decay has extended to the root of the tooth, tooth extraction is the best option since you won’t have to deal with additional treatment like root canal therapy. Tooth extraction can also be a remedy for crowded teeth. By removing a single tooth, the other teeth can have more space to move and can be realigned using orthodontic appliances. 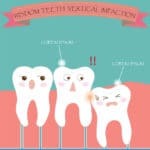 Tooth extraction is also common for impacted teeth. These are teeth that grow halfway out of the gum and are not usually very functional. 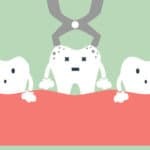 If your wisdom teeth are painful or interfering with your chewing, you can visit Wilshire Smile Group get surgical dental extraction. 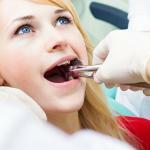 Tooth extraction Los Angeles can be done in one of two ways. Simple extraction refers to tooth extraction for teeth that are easily visible from the outside of the mouth. This is generally done for the front teeth and sometimes premolars. Simple tooth extraction can be done by any kind of dental specialist and usually takes less than 20 minutes to complete. However, depending on the number of teeth being removed, the procedure can take slightly longer. 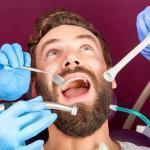 The other type of tooth extraction is surgical tooth extraction. This type of extraction is usually done for teeth that are not easily visible from the outside of the mouth like wisdom teeth. 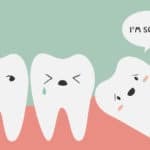 Surgical tooth extraction can also be requested when the wisdom tooth has plenty of decay that cannot be directly treated. Tooth extraction leaves behind a soft tissue that can be easily damaged or hurt. Dentists advise against eating hard substances that may injure the site of tooth extraction. Brushing aggressively may also cause bleeding at the site of the extraction. Your dentist can recommend a toothbrush with soft bristles that won’t harm your gums. If you experience any bleeding or long-standing soreness, it is always best to visit the dentist and get the issue treated. Visit Wilshire Smile Group today for the best tooth extraction services in the city.